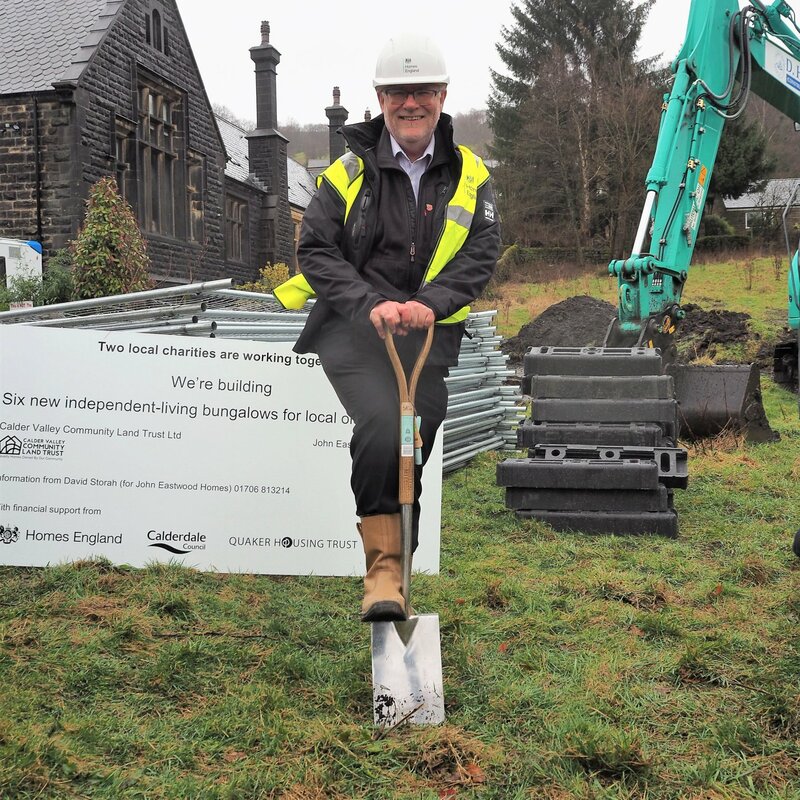 Our first development – six new bungalows for independent living in later life, which we are building in Walsden in partnership with John Eastwood Homes. 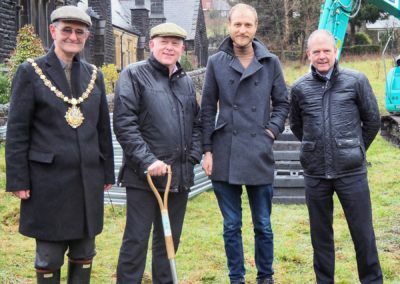 Building began in March 2019 with our first residents expected to move in around the end of the year. 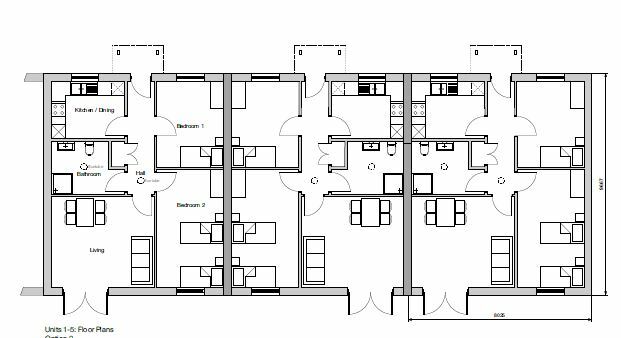 Our development is designed to create two-bedroomed independent living bungalows that will be rented at affordable rents (below market rent levels). 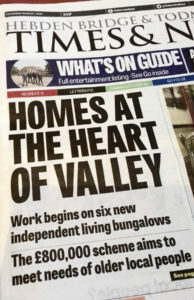 The bungalows have been designed to be warm and comfortable, and as energy-efficient and sustainable as possible. They will include extra insulation and environmentally friendly landscaping. 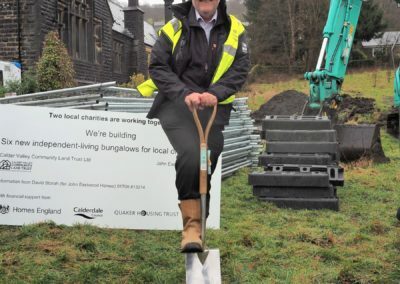 We are delighted to say that work on site started on 7th March 2019 and the bungalows are scheduled to complete by 31st October 2019. 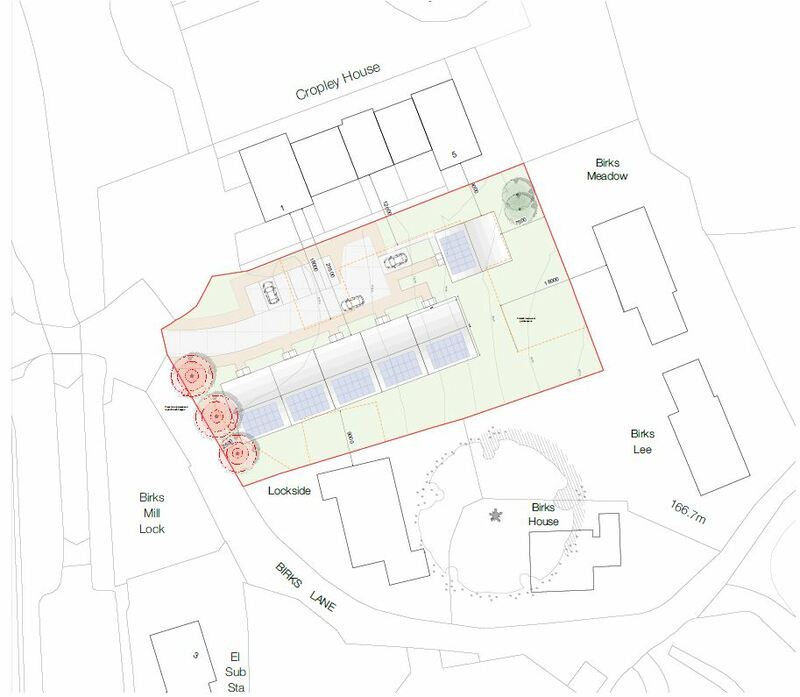 Site plan of the development of six independent living bungalows. 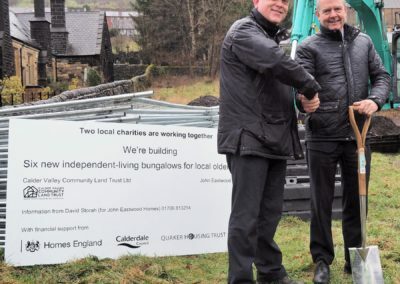 The project is a partnership between the CLT and John Eastwood Homes, the local almshouse charity which already owns twelve bungalows nearby . 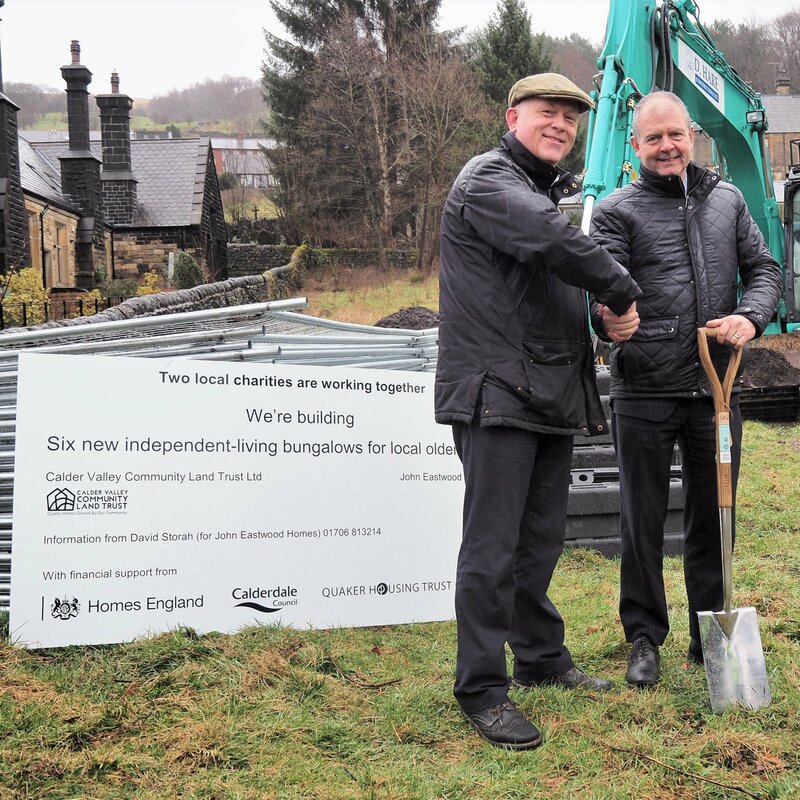 We will own four of the new homes with John Eastwood owning the remaining two, and providing the management service for all six. 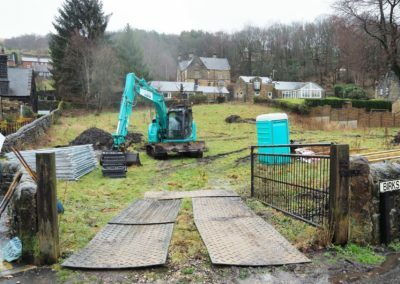 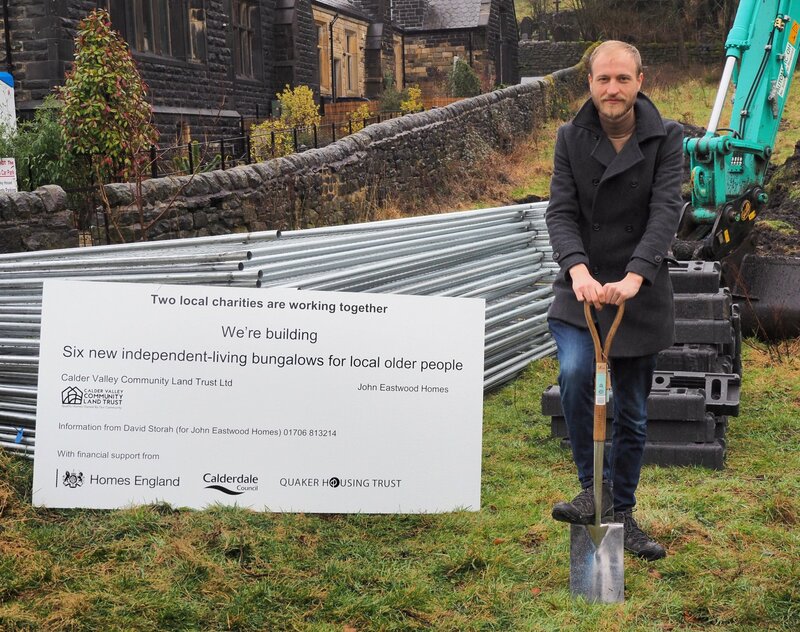 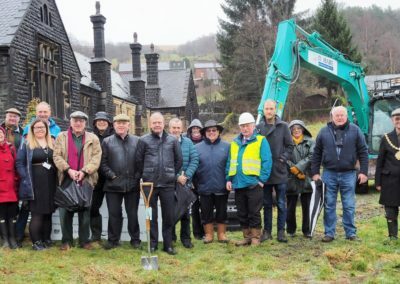 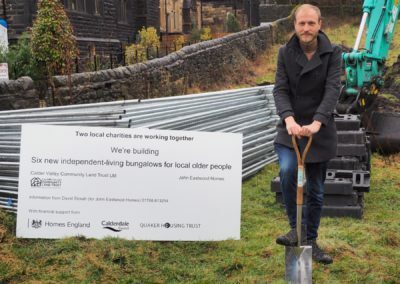 The land for the bungalows was gifted by Calderdale Council to CVCLT specifically for affordable housing, and we have also been able to attract government grant support (totalling £240,000) from Homes England. 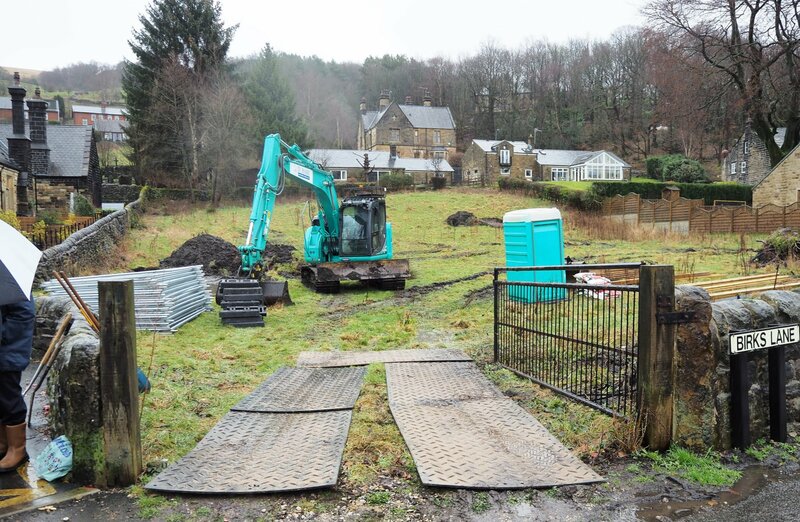 The plans and our original planning application can be found on Calderdale’s website here. 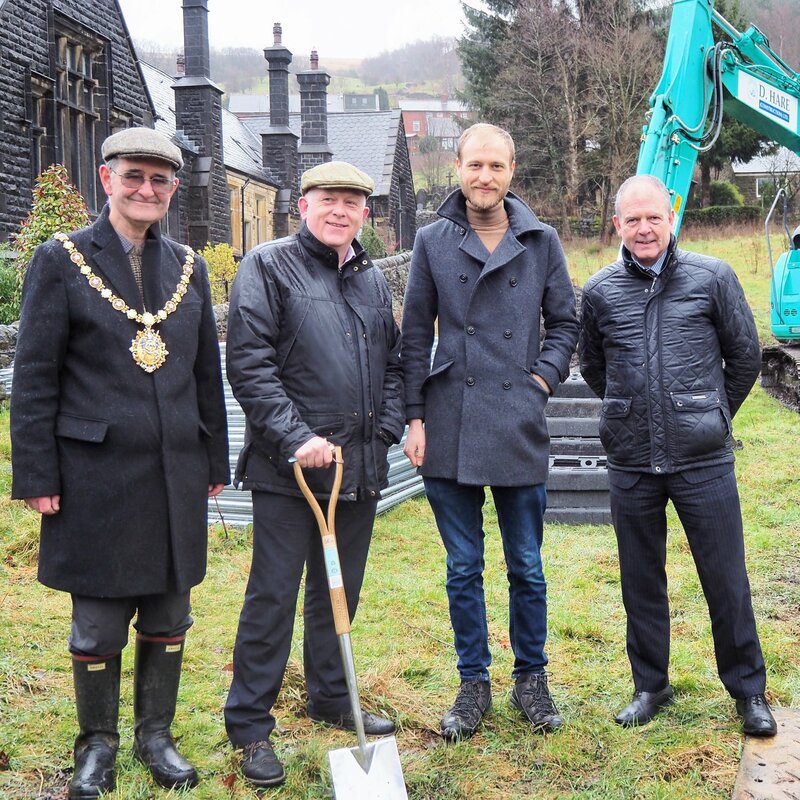 We have appointed Todmorden-based Storah Architects as architects. 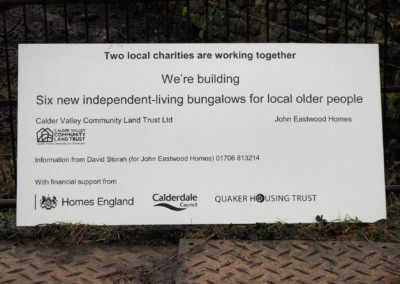 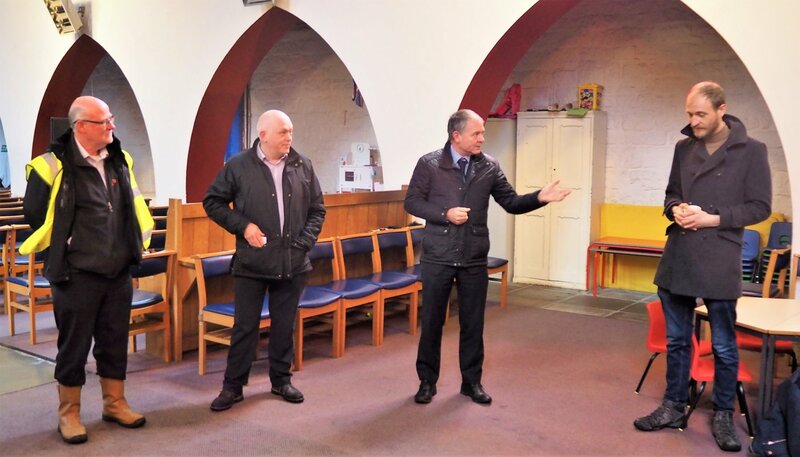 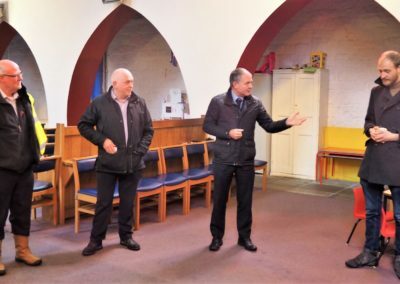 We have received the very welcome news that we have been awarded a £20,000 grant and a £25,000 interest-free loan from the Quaker Housing Trust for the development. 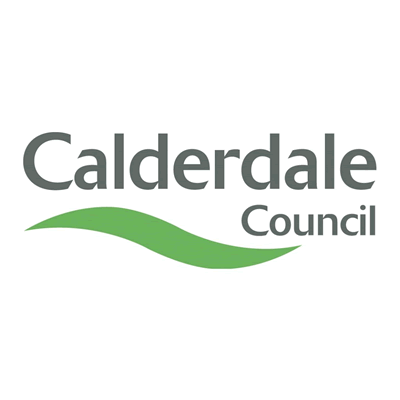 Calderdale council press release here. 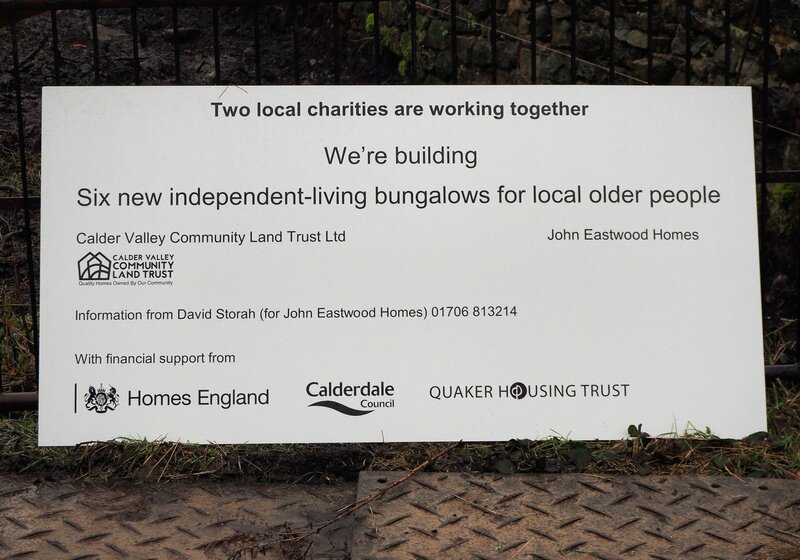 And here below is the story you may have seen in the Todmorden News about the development.